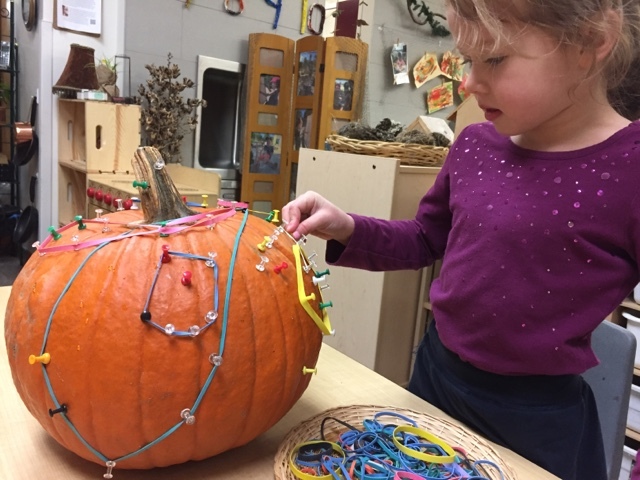 Joyful Learning in the Early Years: Geo-Pumpkins! 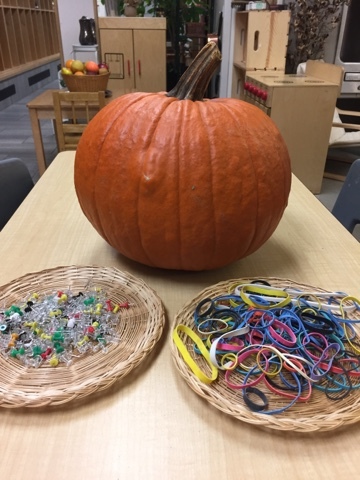 In order to capitalize on the children's interests in all things Halloween, I offered a large pumpkin, pushpins, and elastics today to see what they would do. They immediately began to make connections! "Look! It's like the spider webs we made yesterday!" "This is like when we put elastics on the geoboards!" 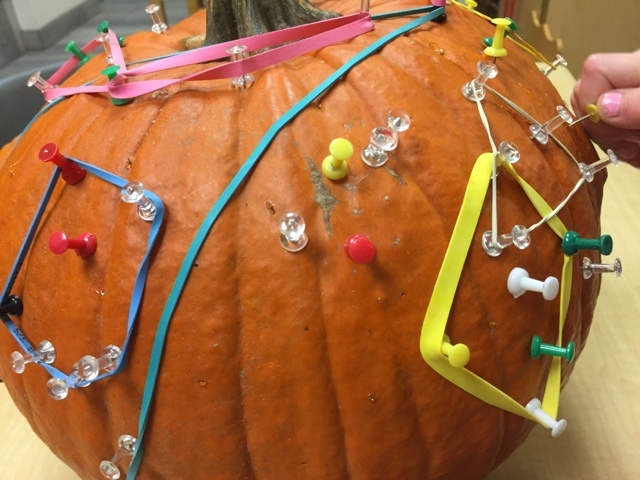 "I want to poke the pins all over the pumpkin like it's having a big operation!" 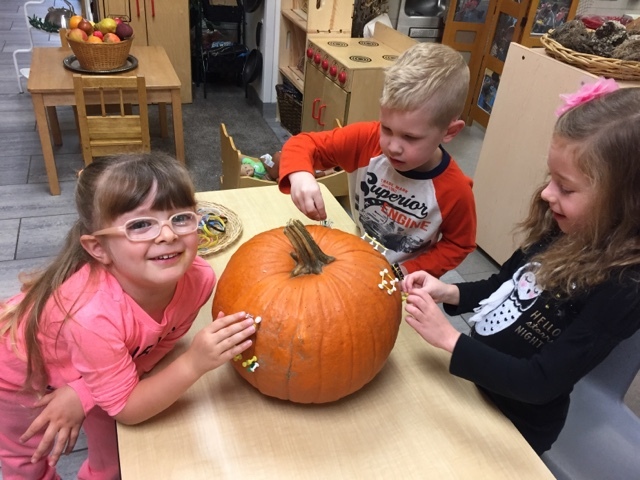 They immediately got to work, being mindful to not put elastics on pins that weren't fully inserted into the shell because these weren't strong enough and the elastic would snap off. 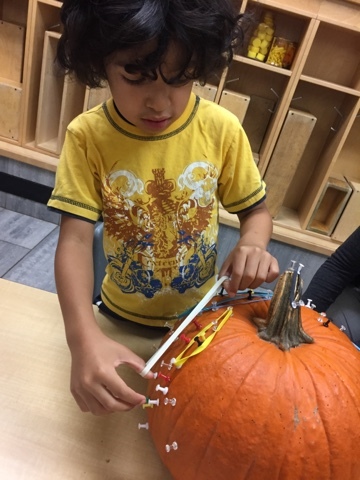 "Look at all the shapes! 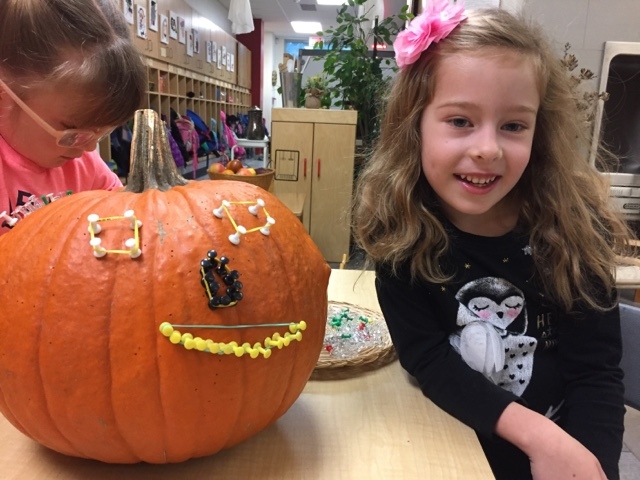 It's like the pumpkin has a mixed up face! I see diamond eyes, but they aren't in the right spot!" It's pretty hard to tell who has the bigger smile here!